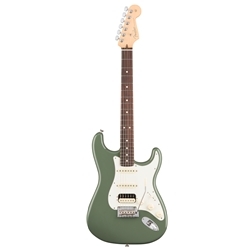 Often copied, but never surpassed, the Stratocaster is arguably the world's most-loved electric guitar. Electrifying the music world since its release in 1954, its natural, versatile sound made the Stratocaster the benchmark for exceptional guitar tones. The American Professional Stratocaster HSS ShawBucker isn't a re-imagining of the classic design; it's the authentic original model, evolved.